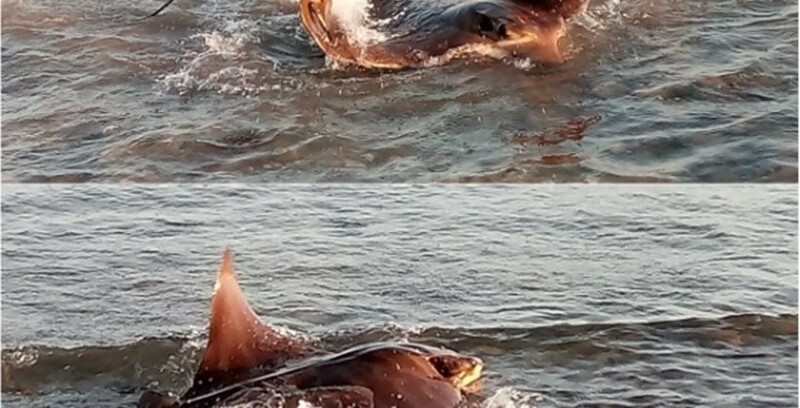 Holidaymakers outside Alexandroupolis in the North of Greece came across a surprise when they encountered a large ray on Tuesday. The enormous fish was found swimming near the coast of the city remaining there for quite a while. It seemd to be enjoying the calm waters. Let’s note that lately other appearances of skates have been reported in the area. The ray or Batoidea, as it is scientifically known, is related to sharks and are distinguished by their flattened bodies.